ALDO, a global manufacturer of shoes, handbags, and accessories, is the importer of record for their products coming into Canada, the US, Europe, and China. Access to real-time data and visibility and strict adherence to international regulations are key elements to the company’s success. ALDO needed a comprehensive compliance strategy and a proper mechanism for implementing and measuring KPIs across individual import channels. ALDO approached BDP International for how to best optimize their current compliance strategy. The team at BDP provided a full compliance assessment and recommendations for establishing consistent standards for measuring KPIs and dashboards for the applicable import countries. 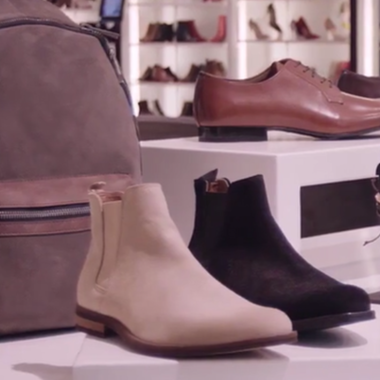 With BDP Smart Retail® technology, ALDO is able to procure a 360-degree view of their supply chain at work along with robust metrics and reporting, giving detailed and precise compliance-driven data and dashboards. Thanks to BDP’s Smart Suite® technology and its comprehensive reporting, ALDO has a full a full view of compliance related reporting that provides complete visibility and high-level shipment data. ALDO’s supply chain benefits from improved efficiencies, less fees and penalties, and overall speed-to-market for end customers. In addition, BDP’s global teams are well-versed in the intricacies of compliance and customs brokerage, offering a heightened level of experience that is second to none in the industry.